The Honourable Jean-Yves Duclos, federal Minister of Families, Children and Social Development and Minister Responsible for CMHC officially launched the National Housing Strategy consultations in June as the next step toward establishing a vision for housing in Canada. 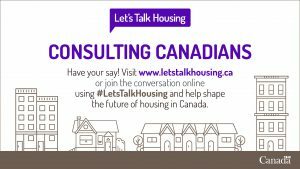 MNPHA members are invited to take part in the consultation at www.letstalkhousing.ca. A new stage in the National Housing Strategy consultations has been reached by adding a collaboration tool to letstalkhousing.ca. It allows Canadians to share bold and innovative ideas and collaborate to improve the future of housing in Canada. From homelessness to affordable homeownership to sustainable housing and everything in between, we’re looking to hear from Canadians on a variety of housing-related themes. Help Manitoba’s voice to be heard. 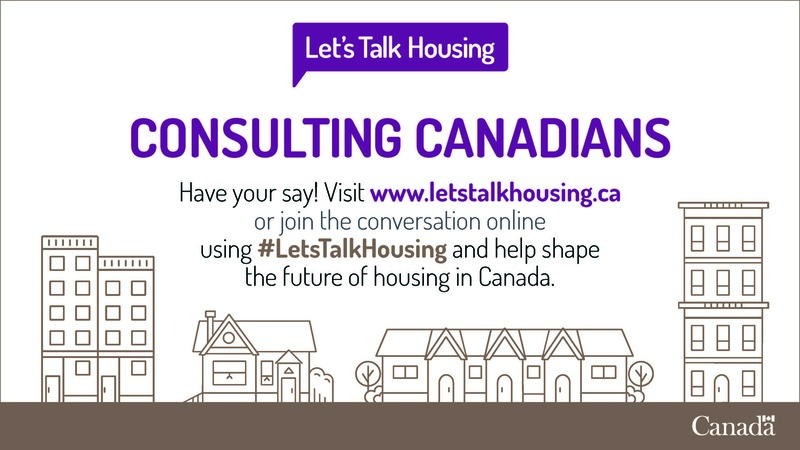 Take part in the consultations, learn more about the themes and outcomes of the National Housing Strategy and share your ideas using the collaboration tool on letstalkhousing.ca.